It’s not going to happen anytime soon, but Africa will break up into two continents at some point in the future as a large crack continues to grow. Geologists have known of the possibility that Africa will break up into two continents at some point in time, but it recently made the news when a large crack that spans several miles in length was suddenly spotted in Kenya after a heavy storm. Africa will break up at some point in the future, say scientists, and millions of years we could see two continents when there was previously only one. The tear that confirms that Africa will break up into two continents collapsed part of a highway when it was opened and “was accompanied by seismic activity in the area.” It’s clear that the increased activity underground in the area is starting to cause some splitting between the two continents, and scientists have confirmed that this is the start of a millions-year long process as Africa will break up. The crack that will eventually form the two continents is located in a region known as the East African Rift Valley. While it’s not currently deep enough to split the continent in two, it has quickly grown to 50 feet in depth and 65 feet across, According to the National Geographic. The term “rift valley” refers to a lowland region where tectonic plates rift or more apart. The movement of the plates was responsible for the formation of the continents we now see in the present day, and the plates have continued to move throughout humanity’s history. We’ve only been around on Earth for a fraction of time the planet has existed, so we haven’t seen continents as we know it change that much. If we happen to be around in 10 million years, however, Africa will break up and give our distant successors two continents where there was previously one. The rift valley spans 1800 miles from the Gulf of Aden to Zimbabwe – essentially splitting the African plate into two different parts. The smaller Somali plate and the much larger Nubian plate make up the continent, and as we continue to see seismic activity in this area we’ll experience a gradual shift as the plates continue to move. 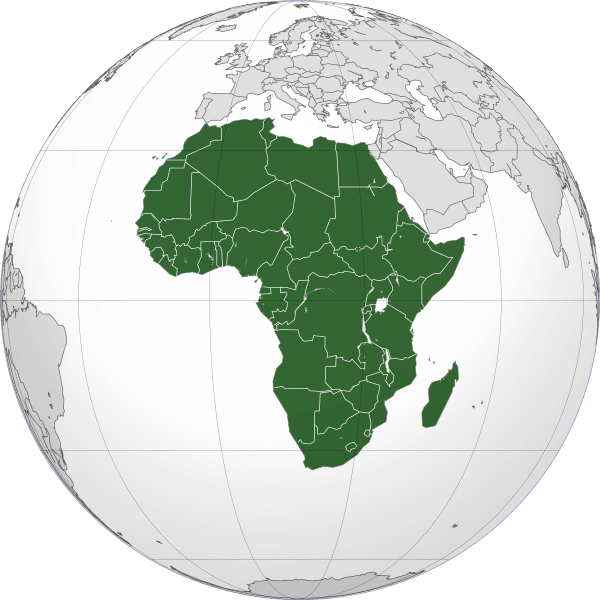 The smaller continent will essentially include present-day Somalia, Kenya, Ethiopia, and Tanzania, with the much larger portion will contain the rest of the current continent. It’s safe to say that we won’t see two new continents in our lifetime, even though Africa will break up over time. However, it’s interesting to remember that the tectonic activity continues to this day and that the world millions of years from now could look dramatically different from what we know the world to be today. Whether or not humanity actually exists long enough to witness the two continents remains to be seen, but it’s a solid reminder that there’s a whole other world deep beneath our feet, and the very foundations of our planet are shifting over time – albeit quite slowly. We’ve seen a similar rift valley to the one that may be causing Africa to split in the United States, with the southwest of the country sliced by the Rio Grande Rift Valley – stretching from Chihuahua, Mexico, to Colorado and responsible for the formation of the Rio Grande River that borders the southern US roughly 30 million years ago. While there are occasional dramatic events that cause us to take notice here on Earth, the shifting of tectonic plates is a process that is far slower than we can observe. It’s safe to say that Africa will break up underneath our feet, but that it will be so slow that no one will ever notice.